Love is in the air this Valentine’s Day, and Elks at Hillsdale, Mich., Lodge No. 1575 want to make sure even the tiniest members of their community know they are loved. Using an Elks National Foundation Gratitude Grant, Lodge members came together to ensure babies in Hillsdale have a safe place to sleep. 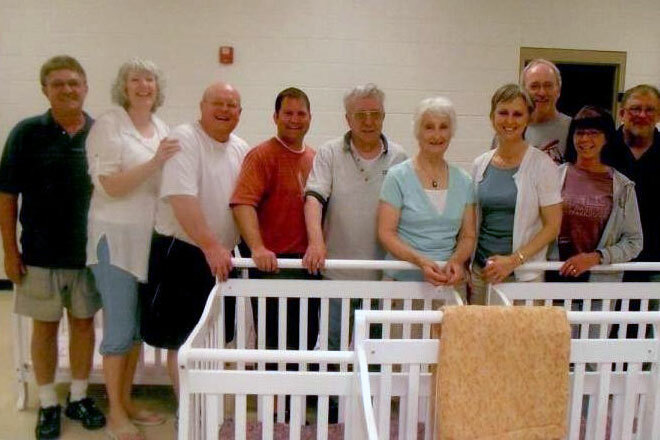 Elks assembled 13 baby cribs at the Lodge for a local social service agency. The cribs then went to babies in need, along with blankets, sheets and pillows—all provided by the Elks.